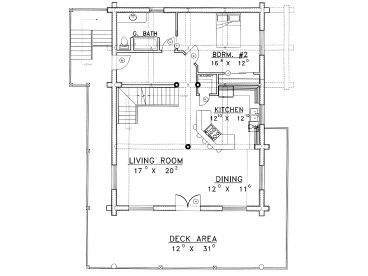 Second Floor 661 sq. 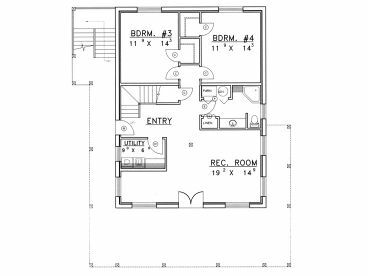 ft.
Third Floor 1247 sq. ft. Depth 52 ft. 8 in. Approx. Height 34 ft. 4 in. 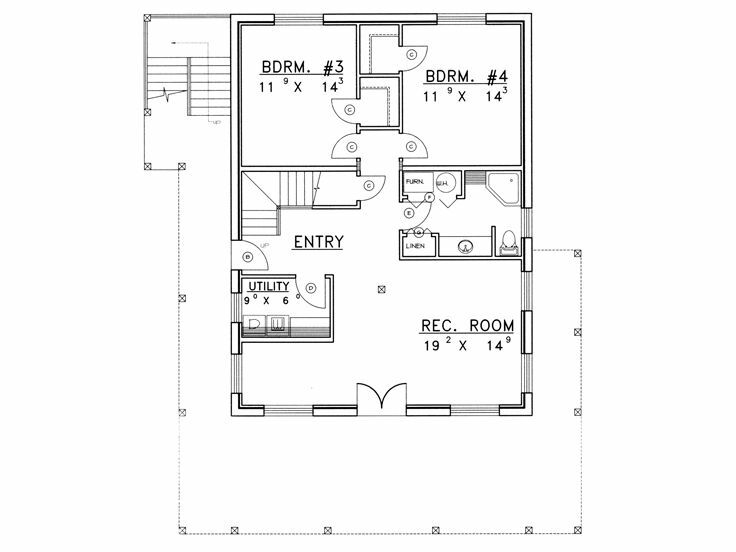 Second Floor 12 ft. 0 in. 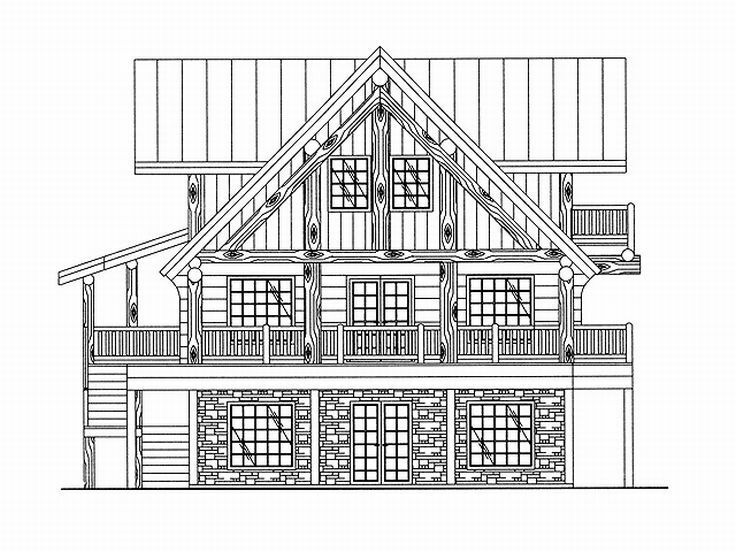 Notched log and stone construction are sure to catch your eye with this log home plan. 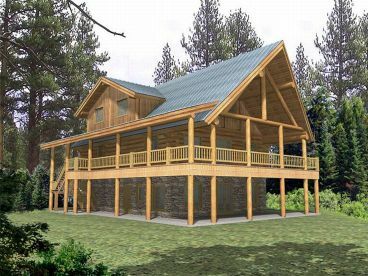 The covered wrap-around deck offers a peaceful outdoor retreat for relaxing at the end of the day. Inside, the main living areas combine on the first floor, perfect for entertaining. An eating bar and a walk-in pantry add efficiency in the kitchen. A pocket door gives Bedroom 2 convenient access to the full bath. 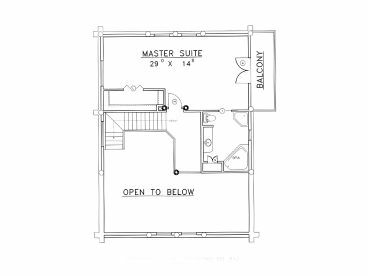 The master suite enjoys the privacy of the second level and is accented with a walk-in closet, deluxe bath and private balcony. 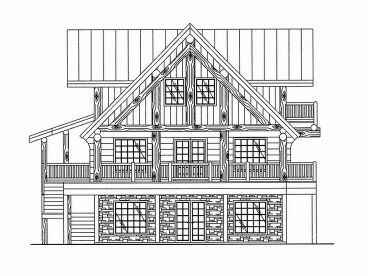 The finished walkout basement is hard to resist with two more bedrooms, a full bath, rec room and utility area. This two-story waterfront house plan featured a family oriented design with comfort.